Ale qualified 2nd in her time trials, missing the top spot by only .12 seconds. I also qualified 2nd with .77 seconds between me and the #1 time trial finisher. You want to ride fast and aggressive in your time trial, but keep a little in the tank for the races. It’s important to get a fast enough time to ensure a good gate selection but ride with control to have a clean run through the course. In our plan for the day we both wanted the time trial to be our 3rd fastest run of the day, with heats and the finals being the fastest. Ale + I progressed to the Finals without any issues. The course was in good shape with the exception of the next to last banked turn which had a lot of chop on the inside and middle lines. 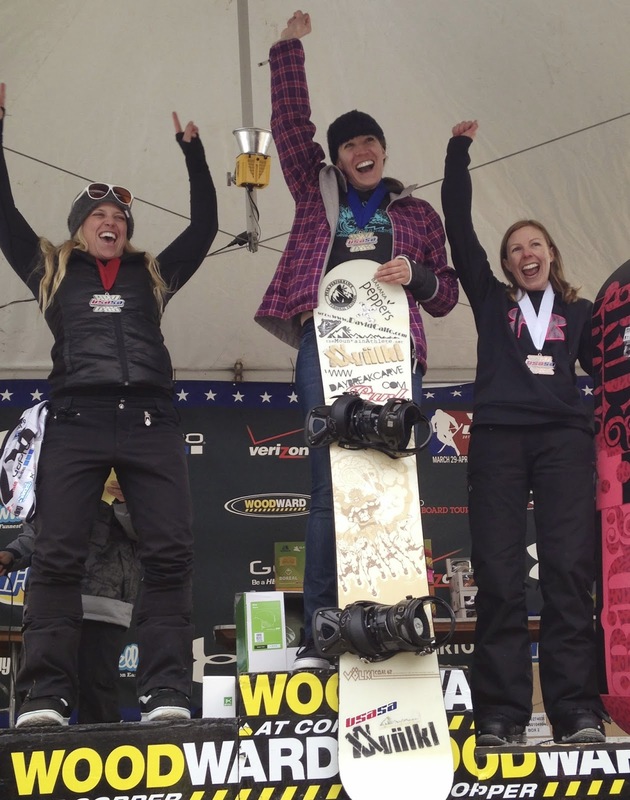 Copper Mountain and the Rocky Mountain Series provided a great course and solid conditions all week long. 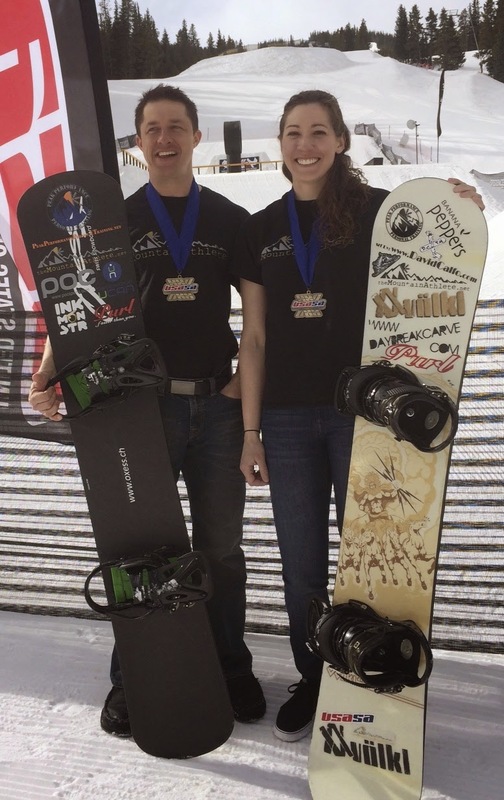 The USASA Nationals’ crew, led by Bob Basil out of the Catskill Mountain Series, once again did a phenomenal job managing the event. There’s a fun, energy filled atmosphere at the start gate and finish corral. Everyone is rooting for all the athletes and excited to see some great racing. A cool example of this kind of fellow competitive spirit is when coaching friends like, K.C. Gandee from the Killington Mountain School, Brennan Metzler from the Method Academy and Lane Clegg from Team Utah, offer encouragement to my athletes and me before our races, in addition to managing their respective Team Members. They are all excellent examples of how good Coaches conduct themselves at competitions. As you can see from the video, Ale won her Finals with a commanding lead, saving her best run for last. It was awesome to be in the finish corral and see her reaction to winning Gold for the first time. She has put in so much work and training time, making tremendous progress over the past few years and overcoming significant injury obstacles along the way. In a weird coincidence there were all Jeff’s in my Final and everyone was joking at the top of the course that a Jeff is guaranteed to win. I had a reasonable start, taking the lead into turn #1. I stayed ahead until the next to last turn, where Jeff Pollock (really solid rider from Utah) passed on the inside. I carried my momentum well around the bank, over the step-down and into the next turn to slingshot past Jeff P. right before the final stretch of finish features. 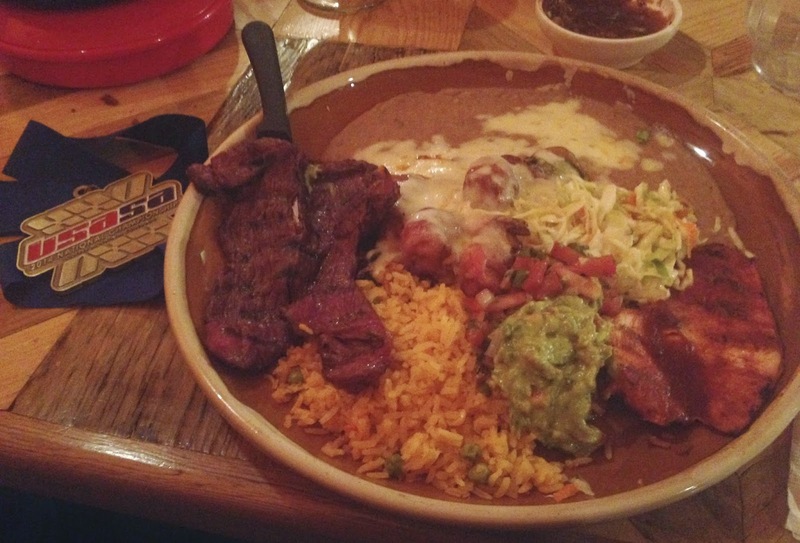 Crossing the line first made it 2 years in a row for me as Nationals Champion and I was looking forward to the Hacienda Real celebration meal. Mountain Athlete coached riders did very well this year. 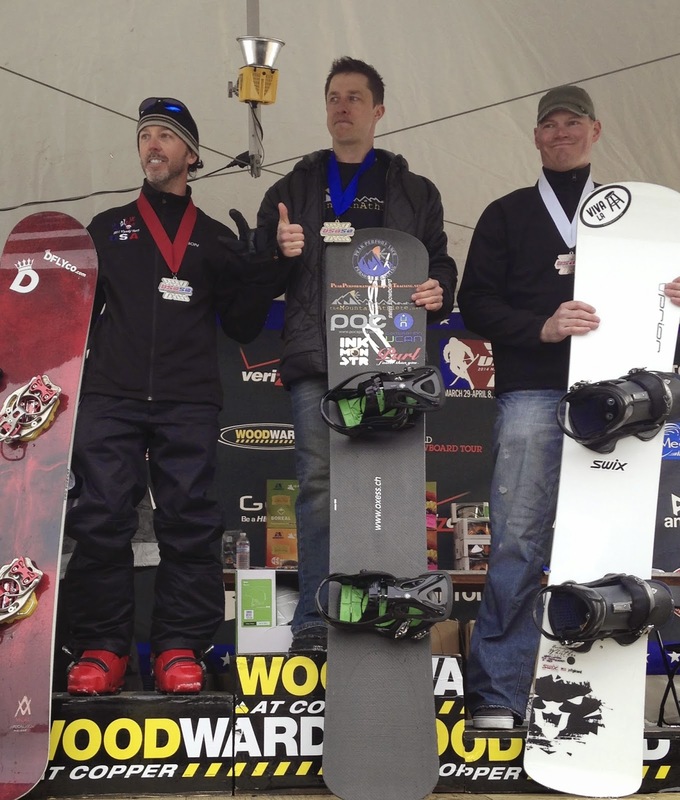 The final tally was 2 Golds (Ale + Jb), 1 Bronze (Anike Vanagas) and an 8th place (Brad O’Neill) in SBX racing. I’m grateful for the opportunity to help these riders improve and achieve their racing goals. A big thanks goes to Nick, Ale’s husband, and my parents who were situated along the start section to take photos and video, documenting the action and ringing their cowbells for us. Another big thanks to Mel Diaz, a fellow Appalachian Series member, who was at the finish corral taking videos of both our races. Mel took 3rd in his race the next day. Finally, one last big thanks to all my sponsors. I’ve said it before, but it’s worth mentioning again, I used all these products before obtaining sponsorship and only promote companies I have experience with and believe in their offerings. 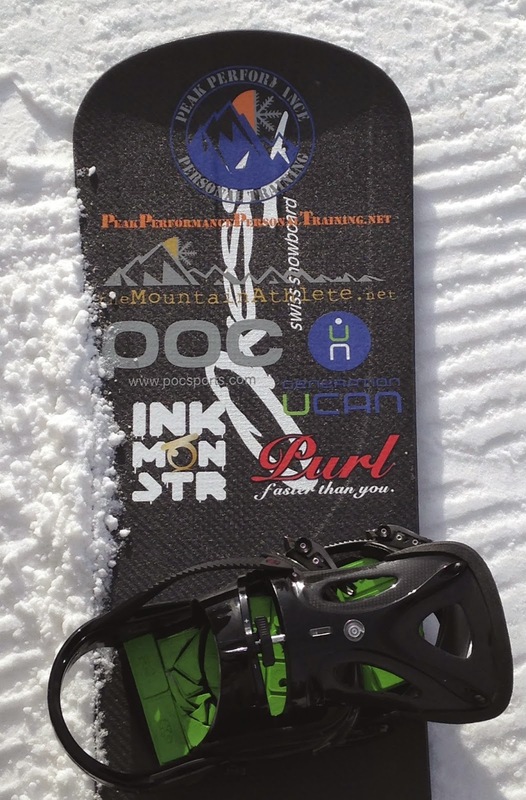 Consider one of them for your own training/competition nutrition (Generation UCAN), snowboard/skiing protection/vision (POC Sports) or race equipment waxing needs (Purl Wax). Off-snow work-outs are in full swing and I’m looking forward to being stronger and faster for next year. If you're in Denver stop by the Colorado Kettlebell Club and do some Mountain Athlete Training with me. Stay tuned for training articles and videos throughout the summer and fall, and a sincere thank you for reading the blog posts all year.